The memories I made at camp are some of the most poignant of my life. In the subtlest of ways, camp is the place you grow up. It wasn’t until I was older that I was finally able to appreciate the true gift my parents had given me when they sent me to camp. Knowingly (on their part) they had given me an experience that would teach me skills that would translate to the real world. 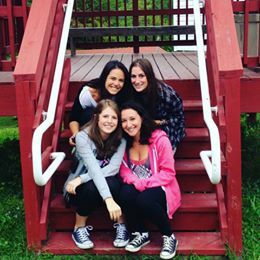 Camp provided me with independence, resilience, and sisterhood all of which I continue to use every day. For those reading this that know me, know I could go on and on and on about some of my favorite camp memories (and with freakish accuracy too). 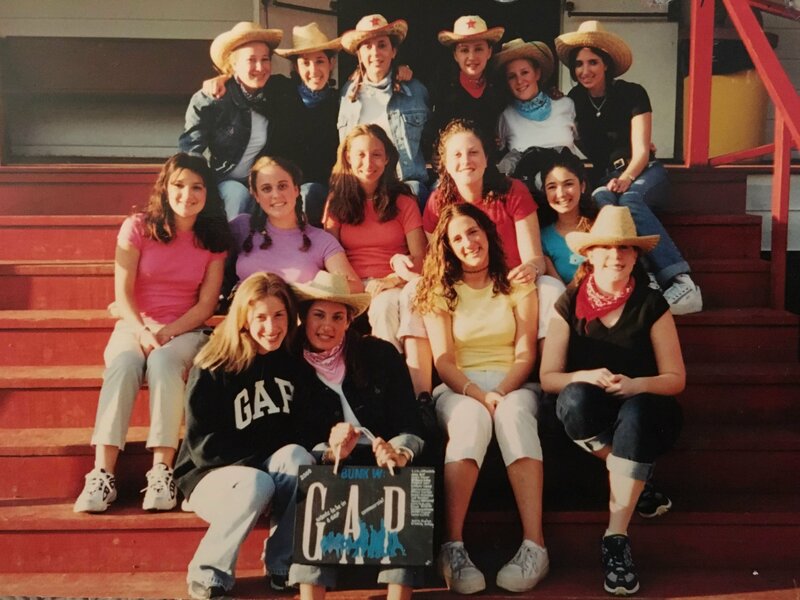 From my favorite counselors (Mama Jamie and Sarah Weaver) to Girls Sing (we were robbed) to the Mass Raid of ’98 and my unforgettable nickname (Saboat), which comes with its very own cheer and permanent reminder of my camp crush camp. These are all a tattoo of happiness etched on my heart never to be forgotten. However, what I really wanted to stress about being an alumnus of this HOLY place is the lifelong bond it creates among its members. 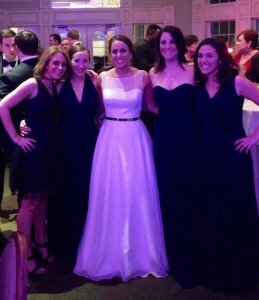 This past year, we saw one of our own battle for her life against cancer at 32 years old. Without a second thought, our division (now 15+ summers removed from camp) rallied behind her. It could have been one day or many years since some of us had last spoken and it didn’t matter, camp is special that way, and the reason it is so important to so many. To my crew who are still in my everyday life, I love you. LW, RM, RL & CR you will forever be my family and although I am 33 years old, a mother and wife I still “can’t imagine just one day not waking up to my best friends,” Only 7 more summers until my new journey at camp begins with my son’s first summer, to say I’m excited for him is an understatement, is it 2025 yet?. I should start by prefacing that every single password of mine has some version of Chen-A-Wanda in it. That’s because when I got there in 2001, it changed my life. I walked onto the bus in 2001 knowing no one in my bunk, no one even in my division. 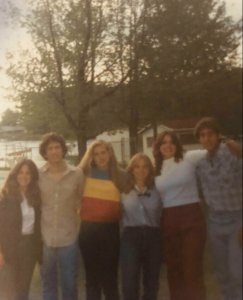 It was before we had new camper get-togethers or first friends; I truly couldn’t have imagined what was in store for me that summer or what was to come from the choice my parents made (thanks, Mom and Dad) to send me to Camp Chen-A-Wanda. It wasn’t the climbing tower or the wild rides on the banana boat (that we did multiple times in our clothes to be ridiculous) that would keep me coming back to camp, but the friendships I made. The friendships I made that first summer are ones that are still in my life today. As a Jersey girl, people in my hometown used to tell me I should just move to Long Island because of how much time I spent there. But my camp friends just meant more to me than I could explain to anyone. They “got me” on another level. I remember the nights we stayed up all hours talking on the cubby room floor, the rest hours we piled on each other’s beds to watch Grey’s Anatomy on the smallest tv I’ve ever seen. It’s the number of times we laughed so hard you don’t want to know what happened. The times we tried to go on “raids” and got caught outside the bunk. The time we even raided the bunk next door!! The chicken patty competitions. The girls sing LOSSES we always encountered (still confused about a few of them lol). The time Lindsay and I ran off stage during Sign and Song (dancing isn’t our thing). First kisses we giggled about, first loves we saw each other through, and so many experiences that deepened our connection, keeping us all still so closely woven into one another’s lives today. People don’t always get the “camp” bond, but it’s those moments that happen when you live with people that just can’t be rivaled. These girls literally grew up with me. They saw me through my weirdest awkward days to now, and for the most part…they somehow still like me. When we get together we still usually break out in our old songs, and I’m confident I could sing you a majority of our Girls Sing and Color War songs verbatim. 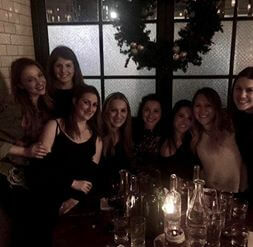 Even after months or years of not seeing each other, we recently sat together at a restaurant for hours and laughed harder the next morning about our antics in a way that you only can do with your camp friends. When I returned to camp in 2009, I really had no clue that attempting to make the Boys Side infamous midcourt shot would result in finding the guy I now LIVE with 9 years later. I mean…WHAT! I’m convinced we must have handed the baton to one another at some point in our prior summers, but to our knowledge, despite both starting in 2001, we really only “met” that summer in 2009. Looking back on 2009, I really had no idea I would find the love of my life that summer let alone on the Biddy Court. 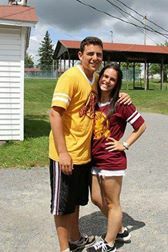 Alex and I continued our relationship long distance with camp being our place to really “be” with each other. We became best friends who could talk all hours of the night and found a love that would grow beyond anything we ever imagined. 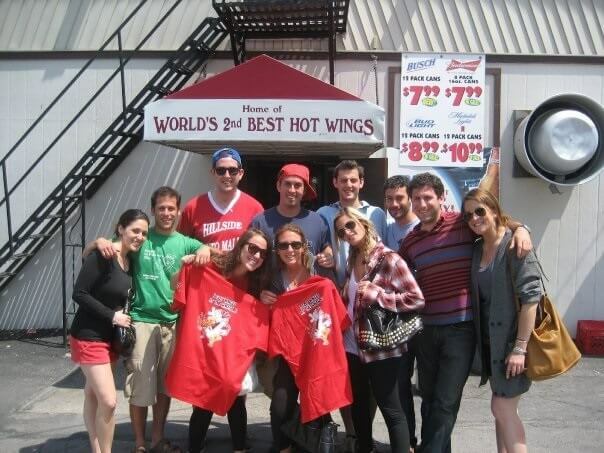 We supported one another when one of us was captain, and rivaled each other in 2010 (I still believe Red Army lost because I left a t-shirt in the dining hall…we all know dynamite was a killer song!!!). We went on the craziest adventures, had the most insane days, and really built a foundation for our relationship that made our time apart unquestionably worth it. 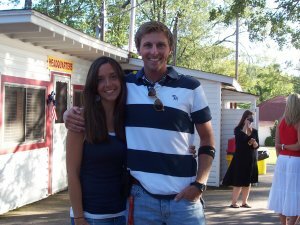 2009 not only brought me my boyfriend but more camp friends where the conversations would be never ending on our porches or over boneless wings at Candlelight. 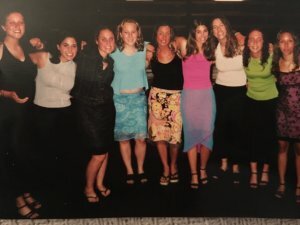 We’d laugh harder with our campers who are now gorgeous girls in High School, some heading to college and have become friends I’m forever grateful for. When my days at Chenny came to a close in 2012, it was really hard for me. I read the blog every night and texted everyone there for play by plays of camp. I think it’s because camp will always have the most special place in my heart. When I get the chance to visit, there’s a feeling I get in my stomach when I’m driving those winding roads. No, it’s not nausea, it’s the purest excitement for the place that let me grow into the person I am today. The place where so many significant events in my life happened that shaped me. It’s crazy to think that a place could have so much value. 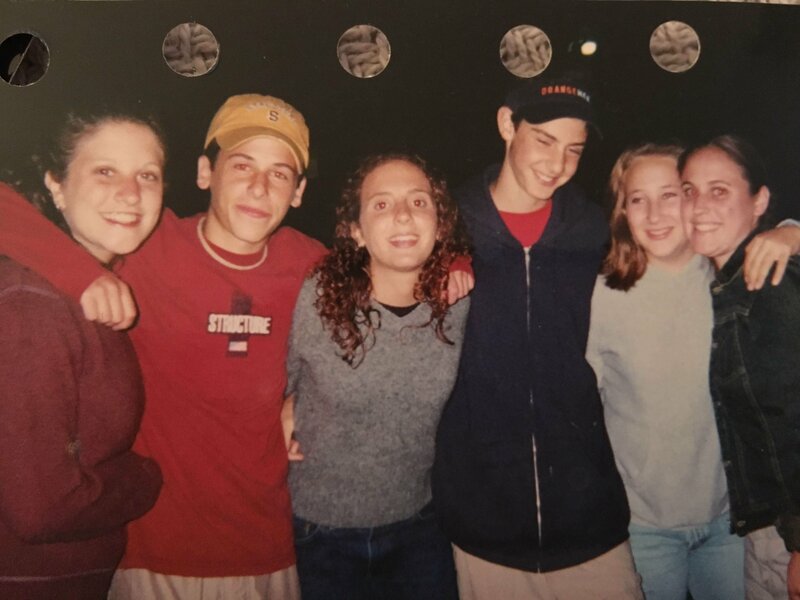 But when I look at Alex and our life together, or at my phone where half of the conversations I save are with camp friends, I know that first summer in 2001 was the beginning of this incredible journey that has truly led me to where I am now. I couldn’t be more thankful for my time at camp, and am really so jealous of anyone stepping on that bus for the first time this summer!!!! Ya never know…maybe that bus will lead you to your best friends or the love of your life. Hi. My name is Jocelyn Rossell and Camp Chen-A-Wanda is my home my away from home, my constant, and my happy place- even as an Alumni. As we all know, camp is a bubble and I feel truly grateful to have been a part of it. 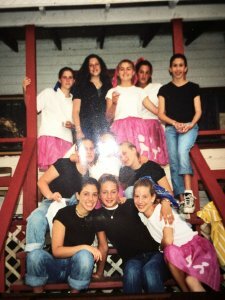 My days at camp started in 2004 as a Junior girl. 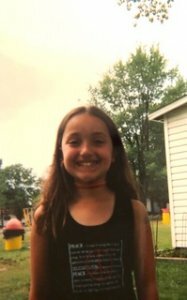 My parents say that I was born ready for camp and happily waved them off the bus on that first day wearing my custom Chenny shirt, red and gold hot loops, and my nails painted red and gold with Chen-A-Wanda across them. From that day, I knew that camp would be my home away from home. From playing on the sports fields to dancing in the dining hall, from writing songs for Girl’s Sing to Color War, and inevitably crying my eyes out on the last day, there wasn’t anything I wouldn’t do to get to do it all again the next summer. 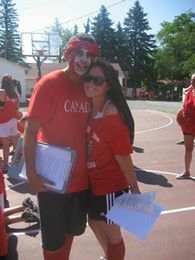 I was a CIT in 2011 and I thought nothing could beat that summer. I had done it all, even spray-painted Arts and Crafts, but I still couldn’t imagine my life without this place. I remember sitting on the Lake Court crying my eyes out, thinking how I’d come back and not get to be a camper and do it all over again. However, I thankfully realized that I did get to do it all over again, but instead through the eyes of eager young campers, just like I was eight summers before. I quickly saw them make those best friends connections with camper and counselors that we wouldn’t trade for the world, got to write songs for them to have them put on an amazing Girl’s Sing, and got to watch them develop a love for camp that is irreplaceable. 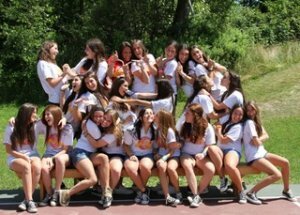 Those girls that I CIT’ed for were CITs themselves this past summer and used the quote “Did It For the Story.” While it may have felt like the end for them, like it did for me, I only hope that they go on to appreciate the counselor part of camp as much as I did. While my chapter at camp has come to a close, it definitely hasn’t meant that that was the end of the story. 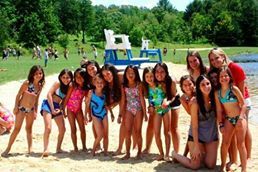 Though I still joke that I would love to be a Junior girl all over again, I would not trade my camp experience for the world. Not a day goes by that I don’t think about camp, talk to a camp friend, or have a song remind me such a specific memory of a certain summer. I truly have camp to thank for shaping me into the person I am today. It was the place I grew up and learned the most, and those lessons have been with me every step of the way since. 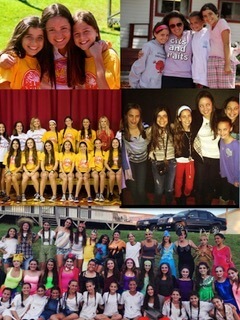 It was a place that’s given me life-long friends and little sisters that I couldn’t imagine my life without. To any camper or staff, new or returning, don’t take Chen-A-Wanda for granted, cherish each moment that you have inside that bubble because sadly it isn’t always possible for you to return. I left my mark and my camp story was over, but I will never not cherish Chen-A-Wanda and all that it gave me. 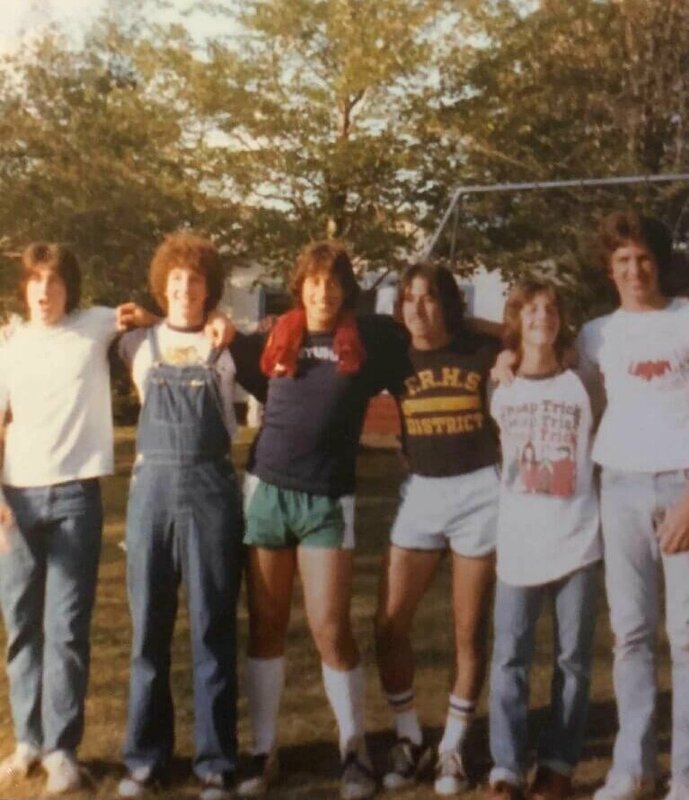 It was the summer of 1980. I had attended Camp Olympus and knew Morey Baldwin. Right before the summer, Morey offered me a job as a Camp Counselor for six-year-old boys, the youngest bunk on camp! Long story short, it was a disaster as I didn’t have the maturity or patience. Two weeks into camp, I was miserable and Morey was ready to fire me and send me home for the summer. Urghh! Mitch Steinhart, a long-time camper, and counselor at Camp Chen-A-Wanda heard about my plight and transitioned me into his bunk. 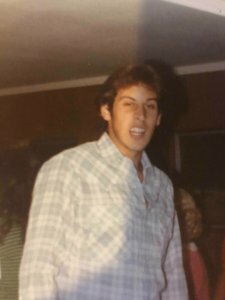 I went from a Junior Counselor with six-year-olds to 13-year-olds, but the difference was Mitch Steinhart. The boys were so kind to me and a new bunk gave me a chance to regroup. Mitch had convinced Morey to move me into his bunk, so I had to earn my stay at camp and prove that Mitch did the right thing! From that point on, I observed Mitch at work and he was outstanding. 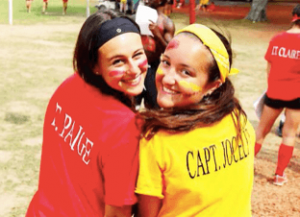 A year later, I was a Color War Captain. Crazy to think about that – I went from almost being fired for my lack of maturity and patience to leading half the camp during Color War! Mitch showed tremendous leadership; Mitch taught me many things about working with kids and other people. I always admired how Mitch found the good in people and always acted “bigger” than the situation. He was an incredible guiding force for me during my two summers at Camp Chen-A-Wanda. Even my grades in college improved after a summer with Mitch. Mitch is one of Camp Chena-A-Wanda’s alumni treasures. That’s the support, caring, kindness and true friendship I found at Camp Chen-A-Wanda. Thank you, Mitch Steinhart. It doesn’t surprise me that Mitch is now a New Jersey Superior Court Judge. He had amazing judgment in his early 20s, and I wouldn’t doubt his judgment today. Huge shout out to Fair Lawn’s Mitch Steinhart on his appointment as a New Jersey Superior Court judge. Thank you and Camp Chen-A-Wanda for the encouragement and leadership skills!!! We’re Brian and Laura Leahy. For those who don’t know us, we’re the full-time Associate Directors for Camp Chen-A-Wanda and our entire lives revolve around camp! This is such a cool post for us to be able to write as our journey as a couple and as camp-lifers started during the same summer at Chenny and now we get to spend the entire school year working for camp helping to prepare each summer to be the best one yet. We then spend our summers wearing a million different hats at camp, but our biggest focus is working with our amazing campers and staff members. We both started at camp in 2002 but under very different circumstances. My wife, Laura came to camp from Nova Scotia, Canada knowing that she wanted to be a teacher and wanted a summer job to help her gain experience in working with kids. She came over as a Soccer Specialist and bounced between that role and a General Counselor Role for five summers before taking on a Head Staff role and eventually becoming a full-time Associate Director in 2014. I came to camp from California as a Baseball Specialist and up until that point I had never even considered working with kids as a career. I was certain that I was going to pitch for the Los Angeles Dodgers after my college baseball career ended, but after one summer at camp I realized that I’d found a place that was so different from anything I had ever experienced and I gave up baseball after I graduated to pursue a post-graduate degree in education so that I could (selfishly) have my summers off and keep coming to camp. I joined the Head Staff crew as a Baseball Director in 2003 and have filled several other roles prior to transitioning into my full-time role as Associate Director. As for our story as a couple, it definitely got off to a slow start! As Sports Specialists in 2002, we must have walked past each other hundreds of times but we never said a word to each other. I mentioned several times to my buddies that I thought she was beautiful, but never even fathomed speaking to her. Playing hard-to-get was more my style 😉 We each came back to camp in 2003 with significant others from our respective hometowns, so we once again never said a word to one another. I then missed the 2004 summer to finish my teaching credential and Laura then missed the 2005 summer to add other work to her resume. 2006 rolled around and I finally mustered the guts to introduce myself. I strolled up to Laura one day while she was hanging out with one of her friends and introduced myself as “The idiot who never had the confidence to introduce myself before.” Our first date was a foosball tournament at Chet’s Place nearby camp in which Laura boasted about her supreme skills. She turned out to be awful and we got destroyed and eliminated in our first-round game. Despite Laura’s subpar foosball showing, we had a blast together and I knew that I was with someone incredibly special. We spent the 2006-2007 school year trying to figure out whether or not we were dating as Laura was in Canada finishing school and I was back in California teaching kindergarten. We officially came back to camp in 2007 as a couple and I surprised her that December by showing up at her apartment in Calgary with an engagement ring. (Fun bit of trivia: The first person I called from the jewelry store parking lot after buying her ring was our camp owner, Jon Grabow!) We got married by a justice of the peace in her parents’ kitchen in March of 2008 to kick start my VISA application to immigrate to Canada. This was my first time meeting her parents, by the way. Nervous doesn’t begin to cover how I was feeling. 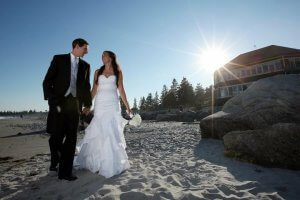 We ultimately had our real wedding on a beach in Nova Scotia in 2010 where our dear Chenny friend, Matty Lennon presided over our ceremony. On October 14th, 2015 our lives changed forever as Laura gave birth to our daughter, Avery Elizabeth Leahy. She’s now going to be at camp for her third summer and it’s like she has hundreds of big brothers and sisters as our campers and staff have truly embraced her as the “Camp Baby.” I swear that the overwhelming majority of her clothes are red and gold and at this pace, I don’t know how long we can keep her out of a bunk! She truly loves camp as much as we do. Laura and I can’t even imagine what our lives would be like without camp. We truly found our happy place and we feel so lucky to have met at a place that epitomizes love. We’re so fortunate to be able to talk about camp as the place where our love story began, but also as the place where our future will continue to grow. It’s where we’ve shared a million memories together and where billions are yet to come. We’re thrilled to share our love story with our camp family this Valentine’s Day, and we can’t wait to hear about the next great one. Chen-A-Wanda is filled with enough love to keep producing stories like ours forever!